SCOTTISH football may face continued critical scrutiny over quality levels, but it still has the capacity to offer up a decent script or two. 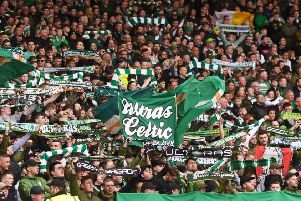 It is rather tantalising that, going into the international break, the only team left with a 100 per cent record intact is Aberdeen and that their first fixture when domestic business resumes will be at home to Celtic. The narrative might veer towards fantasy in terms of a genuine Premiership title bid should the Dons win that one as well, but it will certainly keep the intrigue fermenting nicely in the meantime. The Pittodrie side haven’t enjoyed such an impressive start to a league campaign since the halcyon days of three decades ago under Alex Ferguson but the comparisons will only hold up if, unlike last season, they can start to prise some points from the Glasgow giants. Even in their ’80s pomp, however, Aberdeen sometimes had to grind out results and at Firhill on Saturday it was most certainly a case of Derek McInnes’s current crop winning ugly. There is not much room for describing it as anything else when their opening goal early in the second half against a spirited and disciplined Partick Thistle side came courtesy of what appeared to be a fairly blatant use of an arm by Adam Rooney before the prolific Irishman blasted it past Tomas Cerny. For once, neither manager disputed that there was something awry in the manner in which Rooney controlled the ball, but whereas McInnes saw it as accidental and something that might not go punished anywhere else on the field, Thistle’s Alan Archibald was deeply disappointed that match referee Stephen Finnie saw nothing wrong. The home side had tamed the Aberdeen threat to such an extent up to that point that it was actually beginning to look as though the form book was going to be shredded and a morale-boosting point or three might be staying in Maryhill. Whereas both sides had created little in the opening 45 minutes, Thistle set about their task in impressive style after the break and twice came close through efforts by Sean Welsh and Jack Hendry, the former bringing out a marvellous fingertip save from Danny Ward who was once again singled out for special praise by McInnes afterwards. Rooney’s controversial opener knocked Thistle sideways, however, and the striker nearly scored again moments later before Kenny McLean effectively sealed the victory by slotting home after Cerny could only divert a David Goodwillie shot into his path. It was difficult not to feel some sympathy for the Firhill men and to their credit they kept plugging away, Callum Booth bringing out yet another admirable stop by Ward. Mathias Pogba has quite a family name to live up to, being the brother of Juventus star Paul, but he worked hard as Thistle’s lone striker until being substituted after 70 minutes and was naturally frustrated by the ill-fortune that befell him and his colleagues during the game. Whatever the question marks over Rooney’s goal, the visitors were understandably hugely satisfied at ultimately overcoming a stubborn and well-organised Thistle side when they could easily have had to settle for less. Inevitably though, his thoughts, like everyone else’s, are already turning to that meeting with Celtic. “We know that to beat them we’ll need to be at our best and again it’s good to have some extra time to prepare for that game. “It’s important that we don’t get too ahead of ourselves. We’re on a good run and keeping clean sheets, but we know that we need to get even better and there’s always room for improvement,” was his calm assessment.